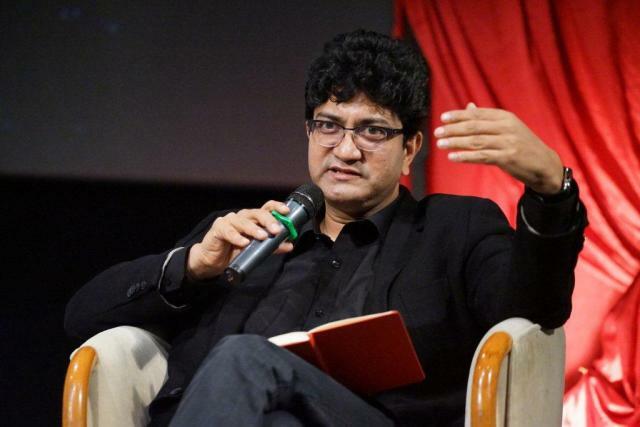 Panaji, Nov 23: Central Board of Film Certification (CBFC) chief Prasoon Joshi says India has the potential to become global powerhouse for children's films as there are many stories waiting to be told. "I feel we have got so many beautiful stories in the country. There is so much global content. We are a land of storytellers. We have so much stories (to tell). If we put our heads together, definitely we will see global stories churned out of the country," Joshi said during a panel discussion on the position of children's films in India and the way forward at the ongoing 48th International Film Festival of India here on Wednesday. "I am very hopeful that India can become a global powerhouse for children's films," he added. The acclaimed lyricist, screenwriter and ad guru feels children's films will be good for adults too. "A child's vision is more important for an adult than it is for a child. I believe we adults need more children films than kids because our lives are so complicated that we can't think beyond. "Big production houses should support children's films. I request all those filmmakers who are capable to support children's cinema to do so. They should think about it and focus on it," he said. The censor board chief also emphasised on the need to generate local content. The panel included "Dangal" director Nitesh Tiwari, Devika Prabhu from Disney and Rajiv Chilaka, founder and managing director of Hyderabad-based Green Gold Animation and the creator of cartoon TV programs including "Krishna" cartoon series and "Chhota Bheem".